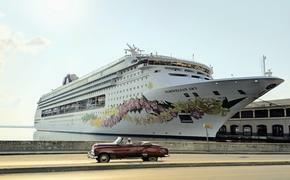 Cruise prices remain in consumers’ favor going into 2012, according to the Cruise Holidays 2012 Cruise Trends survey, with prices to the Caribbean and the Mediterranean still averaging lower than they were in 2008, 2009 and 2010. However, prices to these destinations have actually risen slightly since 2011, which is seen as a positive trend overall by the cruise industry because it demonstrates increased demand for travel. Additionally, the survey found that Celebrity Cruises’ Solstice-class ships are the most popular new vessels for both 2011 and 2012. The 2012 Cruise Trends survey is based on actual bookings from Cruise Holidays’ proprietary booking system and a supplementary opinion survey of 118 owners and agents. The bookings include any staterooms booked by Cruise Holidays from Jan. 1 to Dec. 21, 2011, for any cruises slated to begin in 2012. In this year’s survey, Cruise Holidays agents selected the Celebrity Silhouette as their favorite ship to debut in the past calendar year. They voted the fifth and final Solstice-class ship, Celebrity Reflection, as the ship they are most anticipating for 2012. Reflection will do a short series of European itineraries when it debuts in October, then will cross the Atlantic to begin cruising the Eastern Caribbean. Last year’s most-anticipated ship was the Disney Dream, with the Celebrity Silhouette in second place. The second most popular ship expected in 2012 is an upscale river cruise ship, AmaWaterways’ 164-passenger AmaCerto, which will sail on the Danube, Rhine, Main and Mosel rivers. Rounding out the top five in the survey of most popular ships for 2012 are the Disney Fantasy, Oceania Cruises’ Riviera and Viking River Cruises’ Freya. Alaska and Europe continue to battle it out in the destination race. While Caribbean cruises are the perennial and overwhelming favorite, early bookings to Europe continue to outpace those to Alaska for the second year in a row. Demand for cruises to the Baltic and Scandinavia increased, further cementing Europe’s second-place ranking. A shift in cruise capacity away from the Mexican Riviera means this region is down to seventh place after being as high as third place in 2006, 2007 and 2008. The top 10 destinations, in order, are the Caribbean including the Bahamas, Europe, Alaska, Bermuda, Hawaii, Panama Canal, Mexican Riviera, trans-Atlantic, Canada/New England and South Pacific. If the Caribbean is broken down into three regions, Western Caribbean cruises are the most popular, followed by Eastern Caribbean cruises and Southern Caribbean cruises. The top five “cruise value leaders” are Caribbean and Europe (tied for first place), Alaska/Pacific Northwest, Mexican Riviera, “other” and trans-Atlantic. The “other” responses included Hawaii, Bermuda, Asia, South America and Dubai. A look back at bookings made in 2011 shows that the average length of the booking window continues to lengthen. In 2011, about 52 percent of cruises were booked more than six months prior to the cruise. In 2010, that number was 48.5 percent. The number was even lower -- 40.5 percent -- in 2009. However, the number of travelers capitalizing on last-minute deals is also growing. More than 7 percent of cruises were booked less than one month before the sail date in 2011, which is up compared to the previous two years. “Last-minute booking incentives along with very early booking incentives continue to be an attractive way to lock in deals,” said Schiffner. Looking ahead to the first three months of 2012, otherwise known as “Wave Season,” the level of optimism is at a three-year high for Cruise Holidays agents. More than 73 percent of respondents say they are “very optimistic” or “somewhat optimistic” about Wave Season, with an additional 25 percent feeling “neutral.” That level of optimism demonstrates an excitement that bookings will be strong in the first quarter of 2012.